On the second Saturday of each month, North Common Arts converts its main gallery into an intimate listening room. 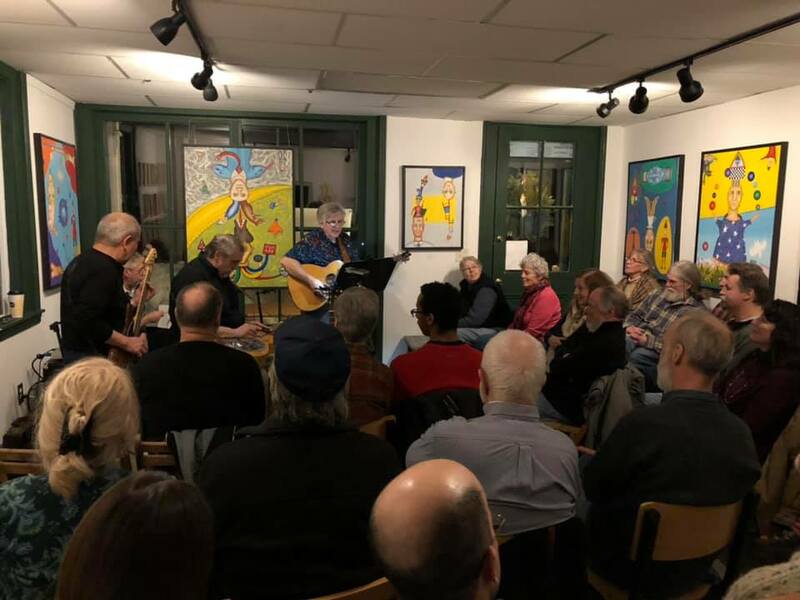 Surrounded by the latest works of local artists, enjoy an evening of folk, jazz, bluegrass, or other musical offerings which might tickle your fancy. As space is limited, we recommend purchasing tickets in advance online, or at our shop during business hours. Sign up for our newsletter to stay in the loop about upcoming events taking place in our art space.